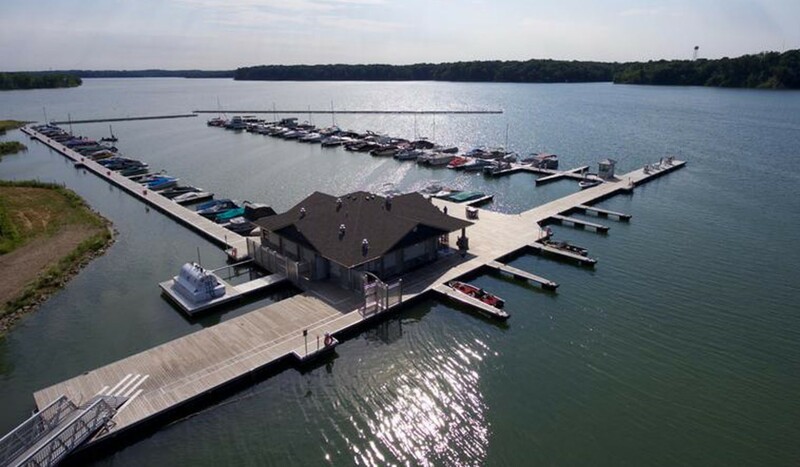 Caesar Creek State Park Marina is located in the State of Ohio on a 2,830-acre lake near the city of Waynesville. 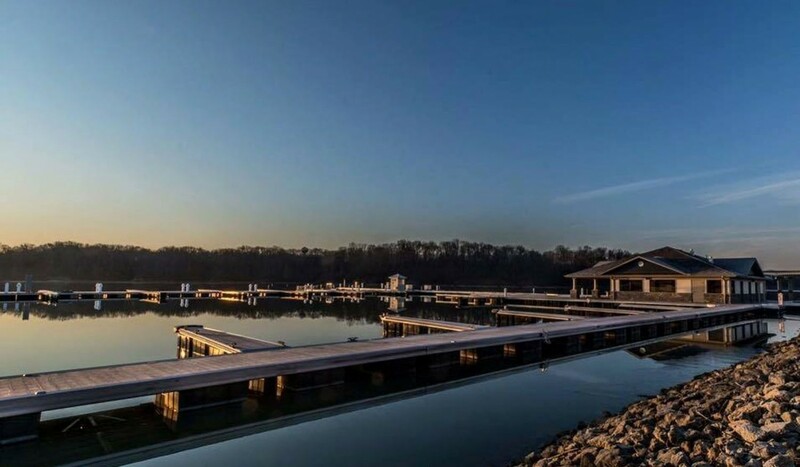 It is surrounded by a 4,700-acre state park and 2,500-acre wildlife area. 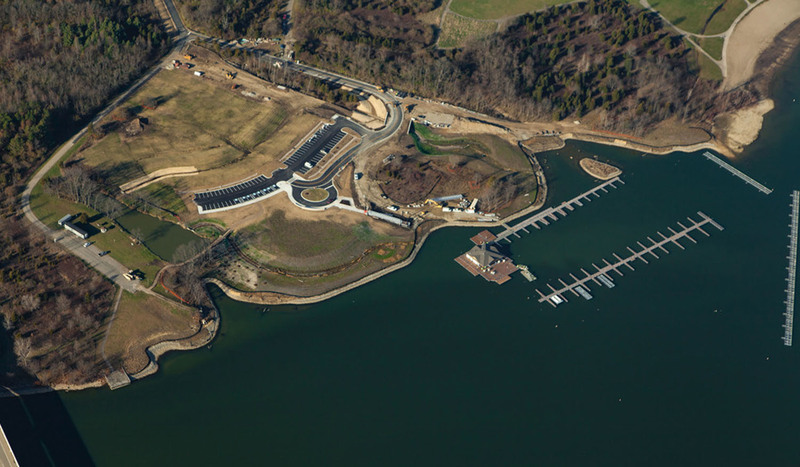 Installed in a fresh water reservoir, the 122-berth marina is the first and only public fully-serviced inland facility. 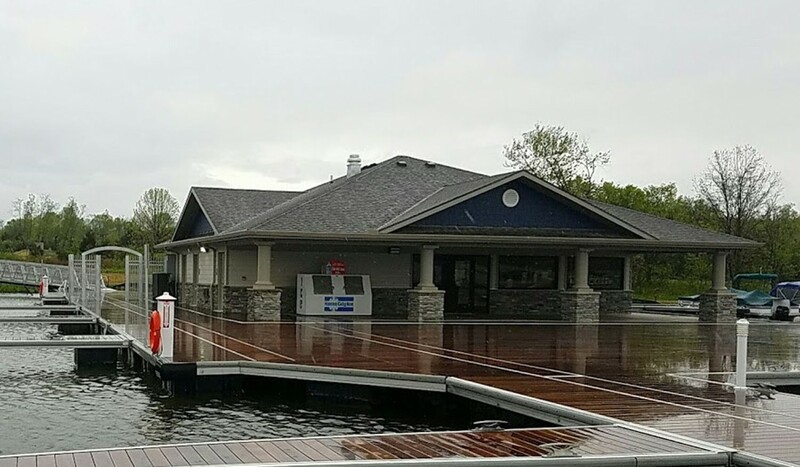 The project's special requirements presented unique engineering challenges such as the design and delivery of a 4,300 ft2 (400 m2) floating platform to support an administration office / yacht club of 2,060 ft2 (192 m2). 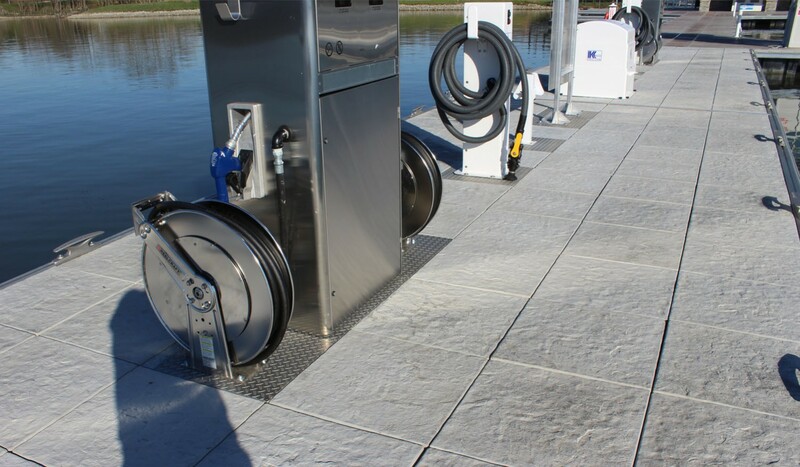 The completely hidden underwater flexible anchoring system is designed to sustain 20 ft (6 m) of water level variation. The whole floating facilities will remain in water year round and is exposed to severe ice conditions. To ensure the aesthetic of the installations, all utilities run under the decking. 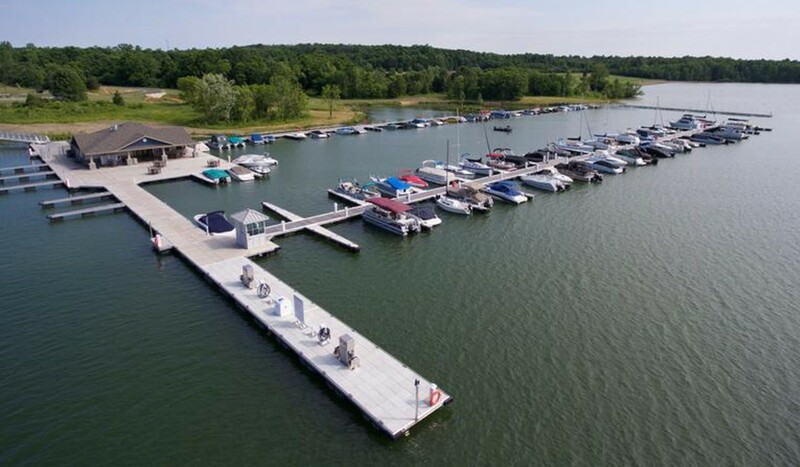 The marina also features a wave reduction system Structurmarine Model-23 of 725 ft long (220 meters) and a service dock including a fuel dispenser and sewage system.